#WebinarWednesday is back! 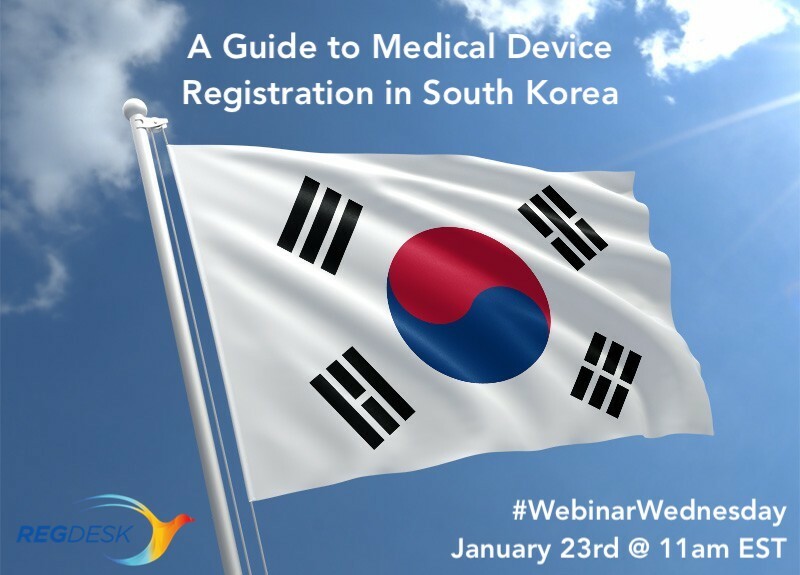 Join us on January 23rd at 11am EST to discuss South Korea’s medical device regulations and registration processes with our guest speaker Yoojin Ahn, a leading regulatory affairs and quality assurance expert based in Anyang-si, South Korea. Yoojin Ahn has extensive experience in the medical device regulatory affairs industry. After studying Biotechnology at Assumption University in Thailand, she began her career as a Regulatory Affairs Specialist in the Quality Management department of a Korean medical device company. She later moved on to join the RA team of another device manufacturer before settling down at a well-established medical device consulting firm in Anyang-si, South Korea. Not only does Ahn demonstrate expertise within Korea’s regulatory industry, but she also has much experience managing foreign device registration processes, including those related to the FDA [especially 510(k)], NMPA (formerly China FDA), ASEAN regulations, WHO pre-qualification, and CE Marking. Her professional experience is quite comprehensive, as her responsibilities have stretched to include quality control, quality assurance, research and development, and device sales. On Wednesday, January 23rd at 11am EST, Yoojin Ahn will share with us her wealth of knowledge about Korea’s medical device regulatory landscape. If your company is looking to register or is currently registering its products in South Korea, you won’t want to miss this. Register for this month’s webinar today!